In the 20th century it was widely accepted that a nation with high homogeneity will be more stable and successful. Thus, when the new world order was created by the westerns following the World War-II, the international borders were drawn, mainly, based on linguistic, ethnic, religious or regional divides. A country, having all sorts of diversity and differences, was simply considered unnatural and destined to be a failure. Following this logic, when the question was raised about ‘an independent India’ the British intellectuals had severe doubts. Sir John Strachey, who was a member of Governor General’s Counsel of British Raj, said – “‘India’ is merely a label of convenience, a name which we give to a great region including multitude of different countries. The differences between the countries of Europe are much smaller than those between ‘countries’ of India. Scotland is more like Spain than Bengal is like the Punjab. The most essential thing to learn about India – that there is not, and never was an India, or even any country of India possessing, according to any European ideas, any sort of unity, physical, political, social or religious”. While addressing his Cambridge audience, he said – “It is conceivable that national sympathies may arise in particular Indian ‘countries’, but that they should ever extend to India generally, that men of Punjab, Bengal, Bombay and Madras, should ever feel that they belong to one Indian nation, is impossible”. When asked about ‘self-governance to India’, J. E. Welldon, former Bishop of Calcutta (1915), said – “The disappearance of the British Raj in India is at present, and must for a long time be, simply inconceivable. That it should be replaced by a native Government(s) is the wildest of wild dreams… As soon as the last British soldier sailed from Bombay or Karachi, India would become the battlefield of antagonistic racial and religious forces… the peaceful and progressive civilization, which Great Britain has slowly but surely brought into India, would shrivel up in a night”. Views such as these were widely prevalent among the British. And politically the most important of these was undoubtedly Winston Churchill. In 1930-31, while speaking at the Albert Hall on ‘Our Duty to India’, he said – “to abandon India to the rule of the Brahmins (his reference to the Congress Party) would be an act of cruel and wicked negligence. If we leave, the entire gamut of public services created by us – the judicial, medical, railway and public works departments – would perish, and India will fall back quite rapidly through the centuries into the barbarism and privations of the Middle Ages’. Caste: In four varnas (place that jati occupies in social stratification) fit 3000 and more jatis (group one is born into), each challenging those, in the same region, that are ranked above it, and being in turn challenged by those below. Language: The constitution of India recognizes 22 languages as ‘official’. 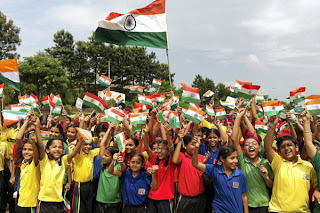 According to Census of India of 2001, 29 languages are spoken by more than a million native speakers and 122 languages (234 mother tongues) by more than 10,000 speakers. 1962 Census recognized 1961 mother tongues. Of course, Indians speaking one tongue have fought with Indians who speak another. Religion: Today a vast majority of the billion-plus Indians are Hindus (approx. 83%). But, India also has the second largest population of Muslims in the world – about 140million (only after Indonesia; Pakistan is likely to overtake due to its extra-ordinary population growth-rate) . Also, there are substantial communities of Christians, Sikhs, Buddhists, and Jains. And India has had a number of communal riots. In pre-independence era, Hindus formed roughly 75% of populations, while Muslims formed about 23%. Class: India has massive disparities. Although, the number of people coming out of poverty is rapidly increasing (poor population under 22% by 2015); still the economic divide has only increased (if not unchanged) over the period of time. The percentage share of India’s 55 Billionaires is about 15% of its GDP. On one hand India has about 1.3lac millionaires, and on the other hand the number of poor people living in eight states of India (about 420million) is higher than the number of poor in 26 poorest African countries (410million). These asymmetries have fuelled many movements of opposition. In pre-independence era about 70% of Indians were below poverty-line with literacy rate of about 18% creating a great reason to worry. Regionalism: Some regions of India have still not being integrated completely (i.e., Kashmir and north eastern states). Also, conflicts have sparked between north and south Indians, and between Marathis and UP/Biharis. In addition, most of the times, the conflicts are confusingly convoluted, where a group of people of particular region, speaking particular language, object practices of a particular religion to target the other side. Such mixture of axes most of the times impedes political class to move forward to resolve issues with clarity. Despite all these complexities, the Indian leadership always maintained the idea of a united India. With the establishment of Congress, the foundations were laid by mainly, Dadabhai Navroji, Gokhle, and Tilak. However, the imagination of common Indian masses was captured by the vision given by Gandhi, Nehru and Tagore. Simultaneously, the socialist and communist youth organizations and Hindu nationalist youth volunteers devotedly worked for nation building. Amid all those freedom-movements and turmoil and confusions of 1946-47, Sardar Patel and his secretary V. P. Menon did the unthinkable. In mere two years, over 500 autonomous and sometimes ancient chiefdoms had been dissolved into fourteen new administrative units of India. Only one case of Kashmir went astray, that too mainly because there were many others involved and Patel was not consulted throughout the process. However, there were real possibilities of having hundreds of Kashmir-like scenarios that Patel’s shear political mastery averted. It was then time for something unprecedented to happen. On 15th of August 1947, the world witnessed the beginning of one of the most courageous experiments of human history. India came into being as a sovereign, socialist, secular democratic nation. All those who underestimated India, kept giving deadlines for its collapse. Those deadlines have passed and all those deadline-givers are dead, but India is still there. Of course, India has seen its darkest days – the bleeding partition and the greatest human migration of history, the wars with its neighbours, horrifying droughts and natural disasters, numerous communal riots and secession movements, deadliest terrorist strikes, financial collapses and international sanctions, and heavily armed insurgencies. However, India has remained intact. Its pluralist and tolerant social-fabric has absorbed all blows. Its existence itself is a miracle. A country, which was considered extremely poor, illiterate, and too diverse to self-govern and was predicted to result into a chaos within months, has emerged as a global power today. As time has passed, India has become stronger and more stronger. Its political and social stability has repeatedly surprised political/social scientists. The idea of India is not just a triumph of Indians, but of all of the mankind. We all can live together and grow. What more reason do we need to stay together except that we are all human-beings? Of course, we all have differences… But, isn’t the commonality out-weighing those differences? India is under the process of constantly discovering the binding forces across all possible divides. And its existence is the proof that these binding forces are much stronger than the divisive forces. ‘Let us discover and value what holds us together’ - is the greatest message India has for the world. Note: the quotations in the article are from Ramachandra Guha's classic book 'India After Gandhi: A brief history of the world's largest democracy'. We should keep exchanging ideas. There were many points of convergence in our articles. “Unscientific” practices of Educational Boards: why tolerate? How can we have a riot-proof Gujarat? How can we have intrinsically motivated students like Rancho? How can India Tackle Terrorism from Pakistan? 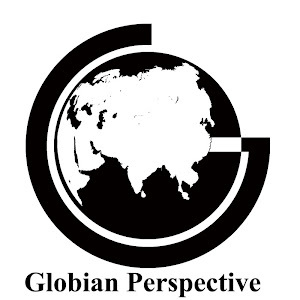 Globian Perspective by Kathan Shukla is licensed under a Creative Commons Attribution-NonCommercial-NoDerivs 3.0 Unported License. (c) Kathan Shukla, 2011. Simple theme. Powered by Blogger.